AECB News : Passivhaus planning refusal. Philip Newbold questions a recent planning refusal on the basis of “isolated location”. I have just suffered my first planning refusal (upheld on appeal) in forty-odd years of building design. It was a proposed passive house (Band A) new-build, detached home on an established residential plot on the edge of a small town. The clients’ existing home on the same site won a national award for the Best New Eco-home in 2006 and the designer of their proposed new home next door (me), is also a national award-winner for Best New Home in 2014. “Occupants of the proposed dwelling would be highly reliant on the private motor vehicle to access services and facilities and therefore it would be an isolated dwelling in the context of NPPF paragraph 55. The proposal is therefore in direct conflict with the requirements of the Framework on the basis of being in an unsustainable location. The harm in this respect significantly and demonstrably outweighs the minor benefits of the proposal when assessed against the Framework as a whole”. “The proposal would be of a high-quality design and would be built to the Passivhaus standard. However, whilst there may be very few energy efficient buildings of this nature in County Durham, the Passivhaus standard is well established and I consider that the proposal is not innovative or truly outstanding. Whilst these benefits may ameliorate the harm arising from the proposal, I do not consider that they would outweigh that harm and the conflict with national planning policy”. In other words, in the opinion of the planning Inspectorate, the use of a motor car to access a site located on the edge of a town but 800m from a bus stop, outweighs any environmental advantage that the energy conservation credentials of the new dwelling might contribute in terms of reduced CO2 emissions compared to a standard Band D dwelling which just meets current building regulations for energy conservation. The planning inspector also claims that having a house on a hill is not acceptable because it deters cycling or walking. Where do you start with this nonsense? How do we address the obesity crisis if walking or cycling up hills is deemed “unsustainable”? Is it just me or is this argument completely bonkers? Not just because of the decades of successive attempts at social engineering by politicians and planners in preventing any development in rural areas but because if the objective is to reduce CO2 emissions from new dwellings, why permit Band D homes to be built in staggering numbers near bus stops while refusing a Band A dwelling because 800m from a bus stop is deemed to be “isolated”? There used to be a bus service running past the site (the stops are still there) but Durham County Council withdrew the subsidy a few years ago. So, who is responsible for making the site location “unsustainable”? Within the last few years, Durham County Council has granted planning consent for a small housing development on the edge of the same town where the site is located on a main road with a bus service. The unexceptional new dwellings are Band D for energy use and the roads and footpaths serving these supposedly “affordable” new homes are littered with cars. There is absolutely no evidence that the close proximity of a bus service to these homes is promoting the use of public transport over the motor car. These homes are poorly-designed, poorly-built and are simply storing up future fuel poverty problems for their occupants. No amount of public transport provision, however comfortable, reliable and convenient it is, will ever change our reliance on the car, even in urban areas, let alone rural ones. Even another £5 a litre on fuel would not make any difference to the number of journeys that we make by car and strangling the life out of rural communities by only allowing new homes to be built on bus routes (which can often be withdrawn), is complete folly and will not have the intended effect of reducing car use. It is environmental madness and needs to be challenged and stopped. According to the Passivhaus Trust, a new home built to Passivhaus standards (Band A) produces approximately 88% less CO2 than one built to just meet UK Building Regulations. Over the life of the building, that amounts to an enormous saving in CO2 emissions compared to the poorly-built, (Band D on average) rubbish that the mass-market housebuilders throw up. However, this fact would appear to count for nothing if the site is more than 400m from a bus stop. In planning terms, this means that the location is “isolated” and therefore “unsustainable”. How can this make environmental sense? Every planning application for residential development in rural parts of County Durham has now become an expensive, uphill battle against their misguided application of NPPF planning paragraph 55 which they think gives them licence to prevent all rural development as “unsustainable” and forcing us all to live in towns with shops and infrequent bus services. Any new home that requires a motor car to access the site is classed as an “isolated location”, regardless of the environmental credentials of the proposed development. The NPPF is intended to support “delivering a wide choice of high quality homes”. We are constantly being told that we have a national shortage of new housing and that rural services are diminishing rapidly because of poor demand (and hence viability). 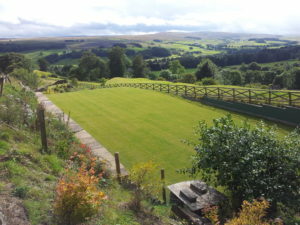 In Weardale, there is a clearly identified shortage of high quality homes. What the NPPF is delivering is precious little choice of poor quality homes. They are not located where people want to live and they are neither “sustainable” nor “affordable”. Is it any wonder as our woefully inadequate Building Regulations and misguided planning policies simply allow mass-market housebuilders to drip-feed us a supply of highly-profitable, badly-designed, badly-built, leaky boxes with tiny rooms? This is not what we need or deserve, thank you. It is decades of draconian misapplication of planning policies that have led to the gradual decline of residential development in rural areas, especially in the North. Relentless refusal to allow any development has strangled the life out of rural communities that had previously been allowed to expand organically, based on demand. It has led to widespread closures of shops, schools, pubs, post offices and of course, the gradual removal of “unsustainable” bus services. This process has seen planning policies used as social engineering tools to force us to live in towns and cities. The fact that most of the rural areas in County Durham are now “unsustainable” for residential development in planning terms is a direct result of the Council’s own misguided attempts at social engineering and their removal of subsidies for rural bus services. We need to stand up to the abuse of legislation which was drawn up to prevent large-scale development in rural areas being applied to refuse small-scale, infill developments in established residential areas just because there is no bus service. My own national award-winning, Band A, eco-home/office (featured in the May 2017 issue of Homebuilding & Renovating magazine) was refused planning consent initially and only permitted on appeal because the nearest bus stop is 450m from our front door. Personally, I think these issues deserve a wider audience which I am, in my own small way, trying to achieve. There are lots of reasons why real low-energy homes are not being built at scale in the UK and we should not shy away from pointing them out. In my experience, the odds are currently still stacked against building a low-energy home, particularly in a rural location. Thanks to the Royal Institution of Chartered Surveyors (RICS), my own home is not valued at any more than an identical, leaky one built nextdoor to just meet Band D (in compliance with current Building Regulations), which is what the major housebuilders are currently allowed to get away with. In fact, normal standards of construction in the UK are so poor that a new home designed (and given an EPC) to achieve Band D will probably struggle to meet Band E or Band F in actual performance. My Planning Consultant and I intend to prove that the CO2 savings resulting from living in a Band A home for 50 years (compared to a Band D home) significantly outweigh the CO2 produced by driving a modern car 1600m to a bus stop and back each day for 50 years. When we have gathered together enough evidence to prove this, we will be considering bringing High Court action in order to secure the planning consent for our client who has been so badly treated as a result of the misguided application of poor legislation. We are seeking advice and assistance from interested parties in pulling together the evidence we require to substantiate our argument. This madness has got to stop and while the road to success will be long and hard-fought, we will not give up until planning consent has been secured for our client. Philip has extensive expertise in architectural design and project management. He is currently director of New Bold Design Limited, a consultancy specialising in accessible and sustainable building design. He has spent over twenty five years specialising in special needs building design for people with disabilities. Over the last 7 years he has been studying and implementing sustainable building design and construction. He has designed and managed a wide variety of building projects in the public and private sectors up to a value of £4.5m. 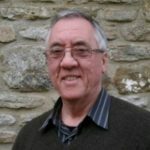 Philip is an AECB Trustee, a Certified Passivhaus Consultant, a member of the Passivhaus Trust and a member of the Access Association. 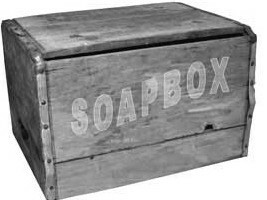 This entry was posted on Thursday, June 15th, 2017 at 10:15 am	and is filed under AECB Latest News, Soapbox. You can follow any responses to this entry through the RSS 2.0 feed. Both comments and pings are currently closed.